Moringa is known as the “miracle tree” across Latin America, South-East Asia and Sub-Saharan Africa because of its nutrient-density and medicinal properties. It is also a tree of economic opportunity from the seed that brings life, to the hands that harvest, to the mouths that consume the precious, nutrient-dense leaves. Planting moringa trees is good for the world because it promotes nutritional security and provides income generating activities for smallholder farmers around the world. Kuli Kuli is dedicated to building a moringa supply chain that supports regenerative agro-forestry and creates sustainable livelihoods for its supplier partners. To celebrate Earth Month, Kuli Kuli is fulfilling its mission by both planting trees and supporting access to finance world’s vulnerable populations. This April, 1% of all Kuli Kuli’s sales at Whole Foods will go towards planting 3,000 moringa trees with in Ghana and supporting micro-loans through Whole Planet Foundation. 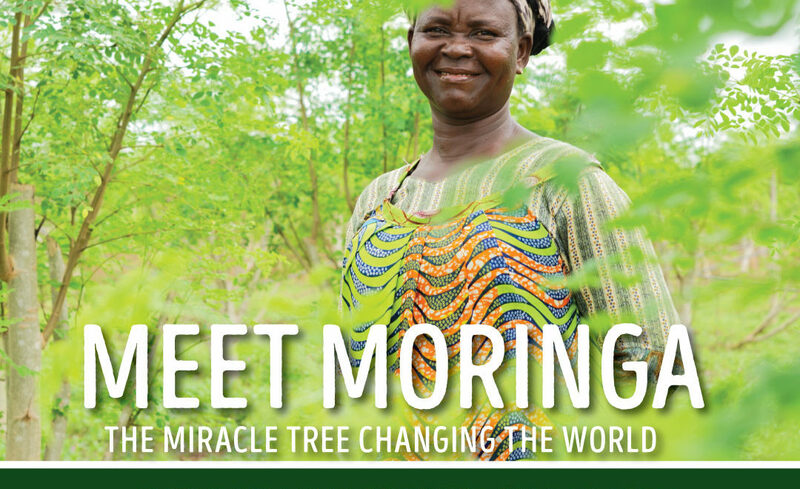 Planting 3,000 moringa trees in Ghana addresses environmental restoration and drives economic opportunity. Kuli Kuli is thrilled to work closely with its supplier partner, True Moringa, a Ghanaian social enterprise that works with hundreds of farmers. One such farmer is Akosua Krah, whose life has been forever changed after she began working with moringa. Akosua knows moringa seeds better than most people. 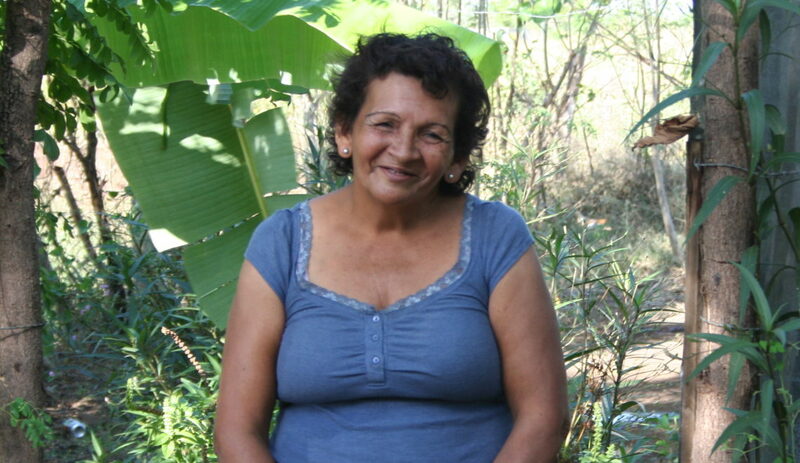 Every day, she wakes up, feeds her children, gets them to school and goes to work with on her personal plot on the True Moringa farm. Resilient like the moringa seed, Akosua thrives in conditions that are not always easy. She works the soil even though though it is sandy and depleted from nutrients after generations of farming. Luckily, the moringa tree is still able to thrive in these conditions, providing nitrogen back into the soil and converting carbon dioxide into the very oxygen Akosua and her community breathe. To Akosua, these seeds represent more than just life, they are her ticket to economic freedom. 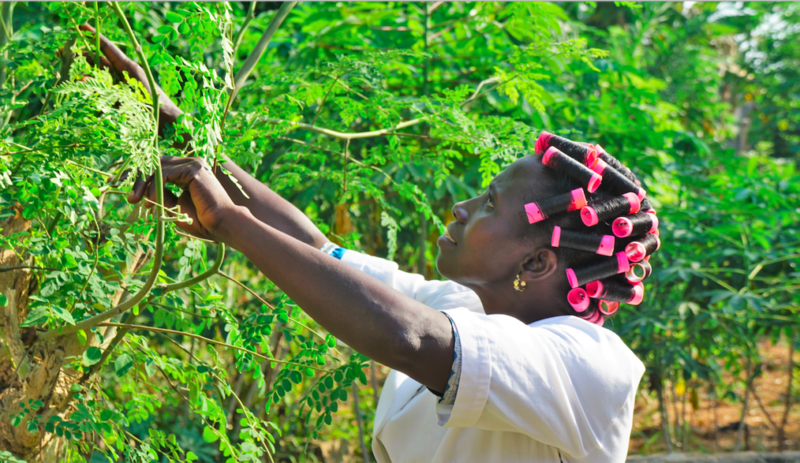 Six months after pinching the earth around the moringa seed, Akosua returns to a meter high moringa tree to harvest the tiny leaves that adorn the branches. She snips the branches, sheds them of their leaves and prepares them for wash and drying. Since moringa processing is culturally seen as woman’s work, she is able to take the opportunity to be financially liberated with little pushback from her village. She is able to use her own funds for food and her kids’ school fees, rather than borrowing from others and going into debt. When her work day is done, Akosua takes some snips of moringa home to prepare dinner for her children. She believe because of moringa, they do not fall victim to malnourishment, an ailment that impacts one in five children in Ghana (UNICEF). The moringa that is not consumed by her family is processed into a high quality powder that is exported to Kuli Kuli, with a portion of those profits going into Akosua’s pocket. Once in the hands of Kuli Kuli, the powder is packaged and sold across the U.S., reaching the mouths of thousands of Whole Foods shoppers looking for a convenient solution to increase the amount of nutrient-dense greens in their diets. Akosua is a leader in her community and an example of the opportunities moringa can bring to vulnerable populations. Through partnerships with organizations like Whole Planet Foundation and True Moringa, Kuli Kuli is harnessing the power of moringa to improve nutrition and livelihoods around the world.